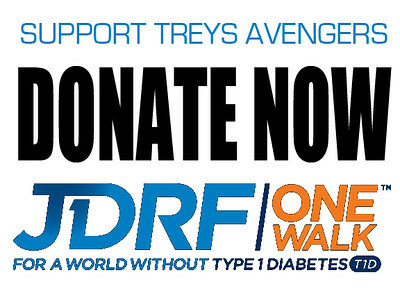 Trey’s Avengers is a dedicated fundraising team for the JDRF One Walk in Richmond, VA. At age 6 our son Trey was diagnosed with Type 1 Diabetes and since then friends and family have come together to raise money for the JDRF to help find a cure for this disease. In our five years as have helped raise over $63,000 to support JDRF and Type 1 research with the help of generous family, friends, local businesses and corporate sponsors. Please take a moment to poke around, learn more about our family, Type 1 and how you can help us raise money to turn Type One into Type None.